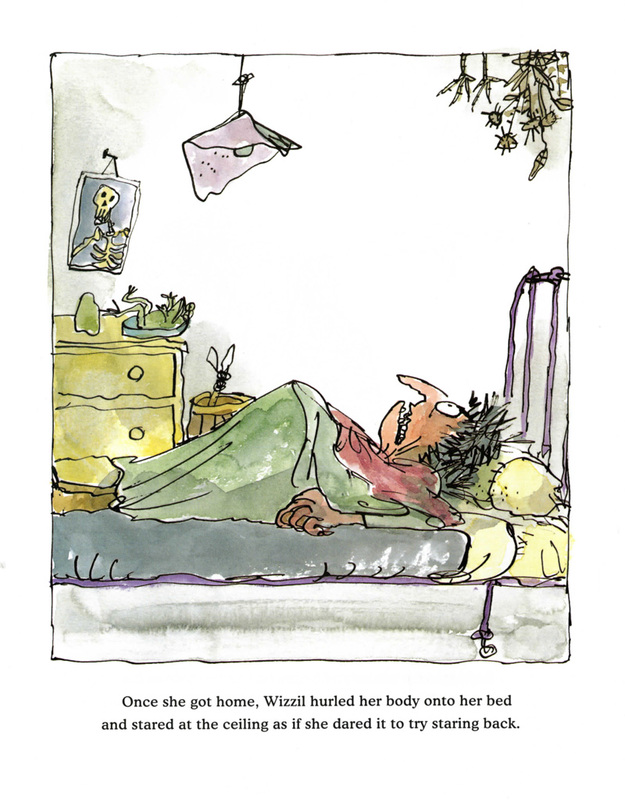 Wizzil, a witch, is bored stiff. 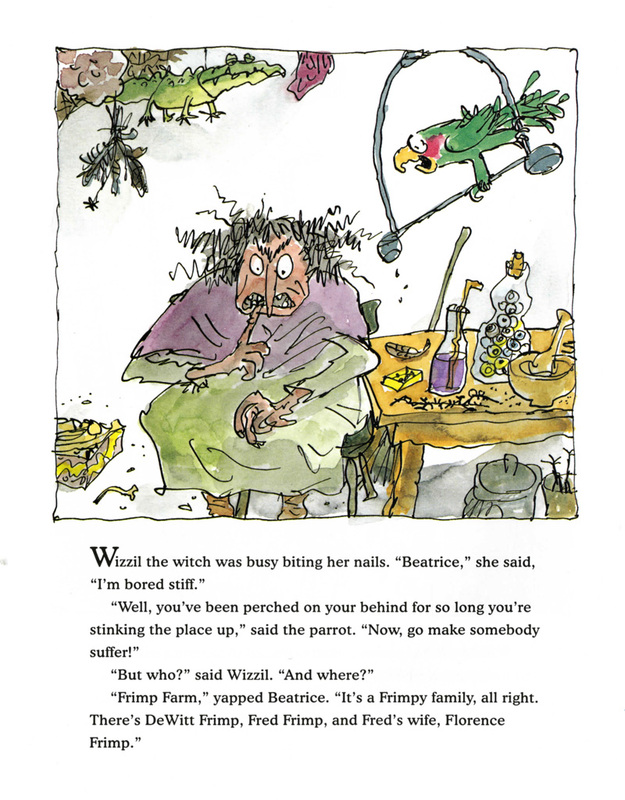 So with some coaxing from Beatrice, her parrot, she turns herself into a common housefly and heads over to Frimp farm to stir up trouble. 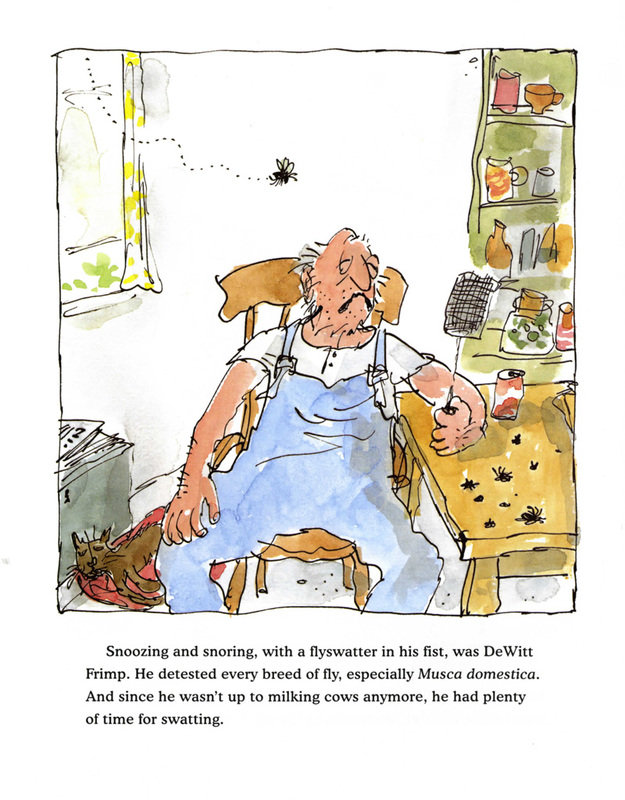 Little does she know, DeWitt Frimp absolutely hates all breeds of fly, especially Musca domestica, and Wizzil narrowly escapes a life-threatening swatting. 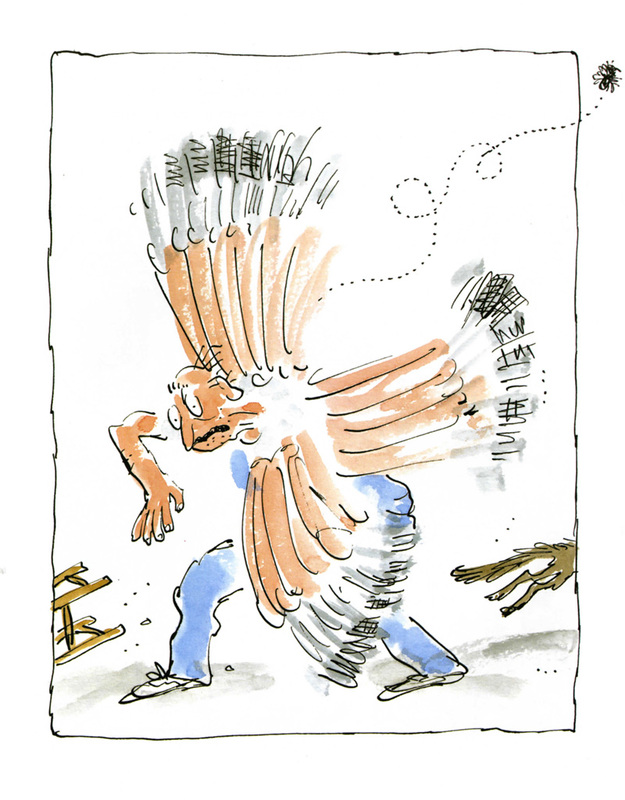 Wasting no time at all, she cooks up a nasty plan to teach DeWitt a lesson: she turns herself into a glove, which DeWitt finds and proudly wears, but which also deprives him of the ability to aim his flyswatter. 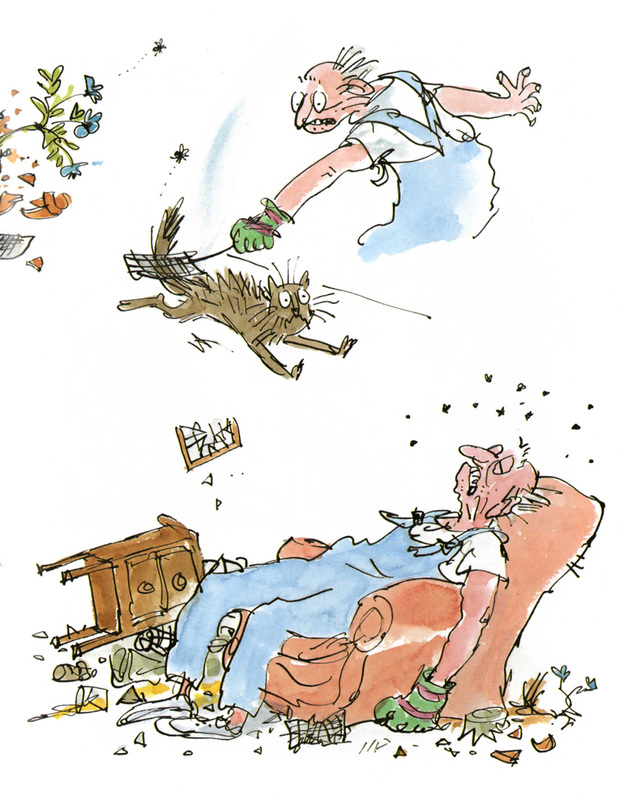 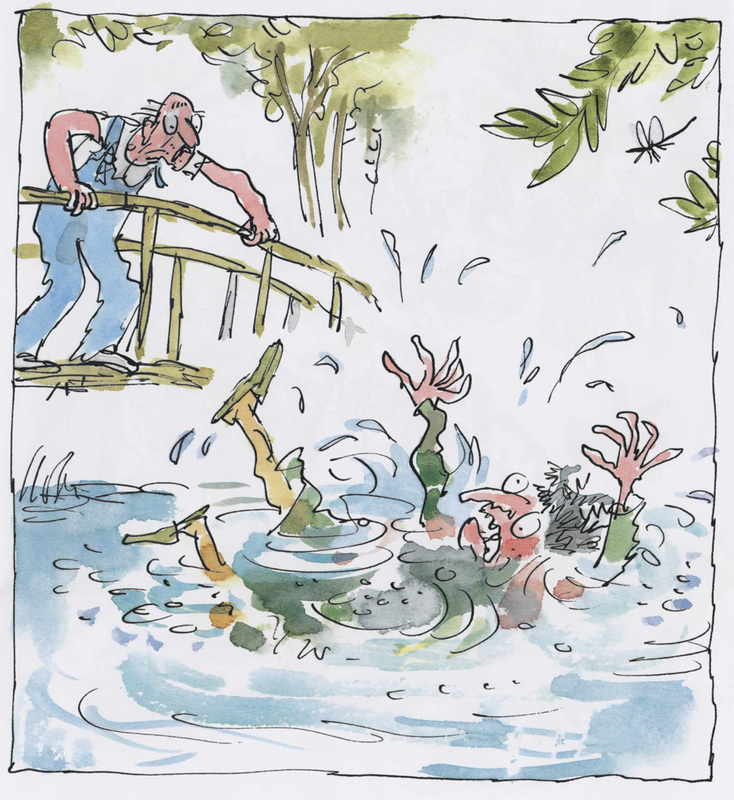 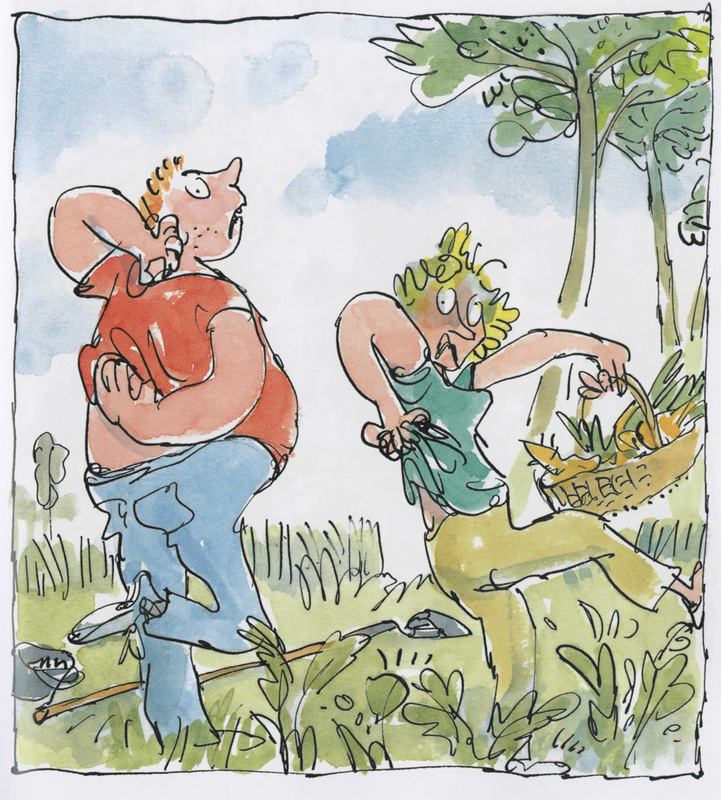 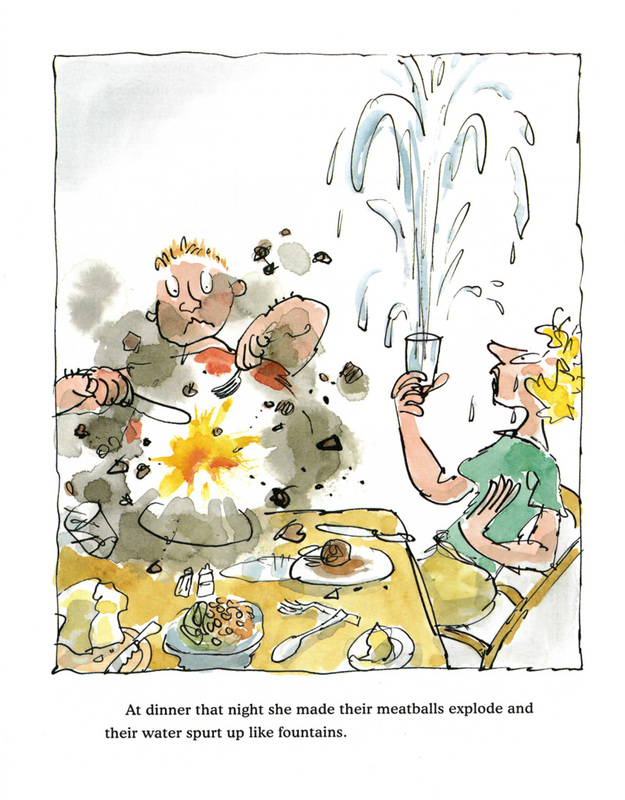 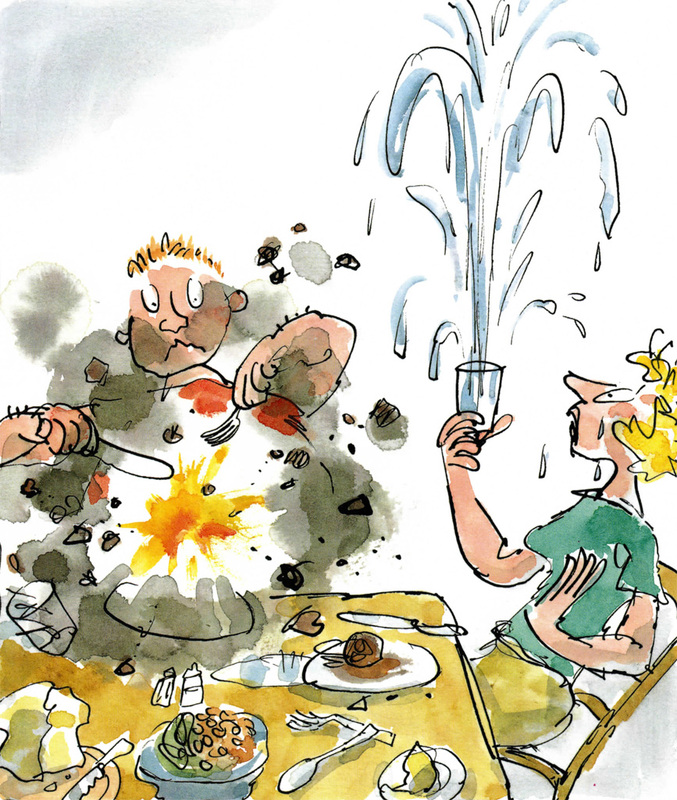 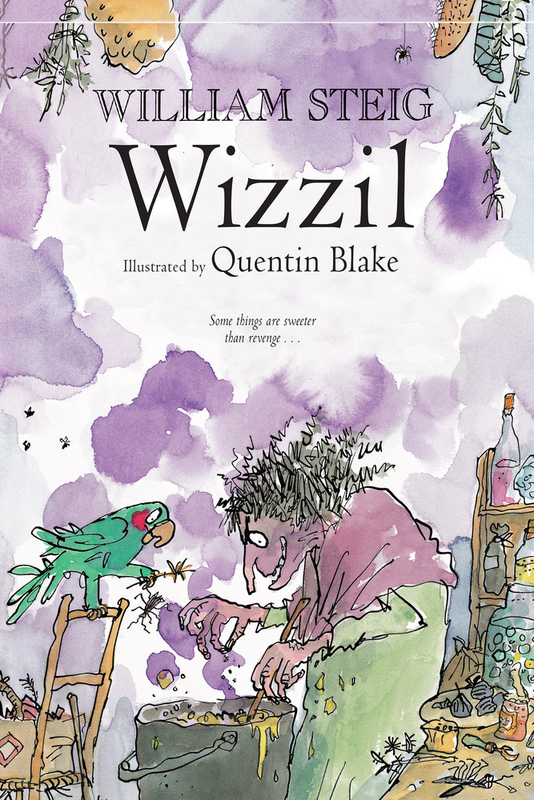 Steig's playful storytelling voice is in full gear in this tale, and Quentin Blake's hilarious, antic pictures are a perfect match for the text. 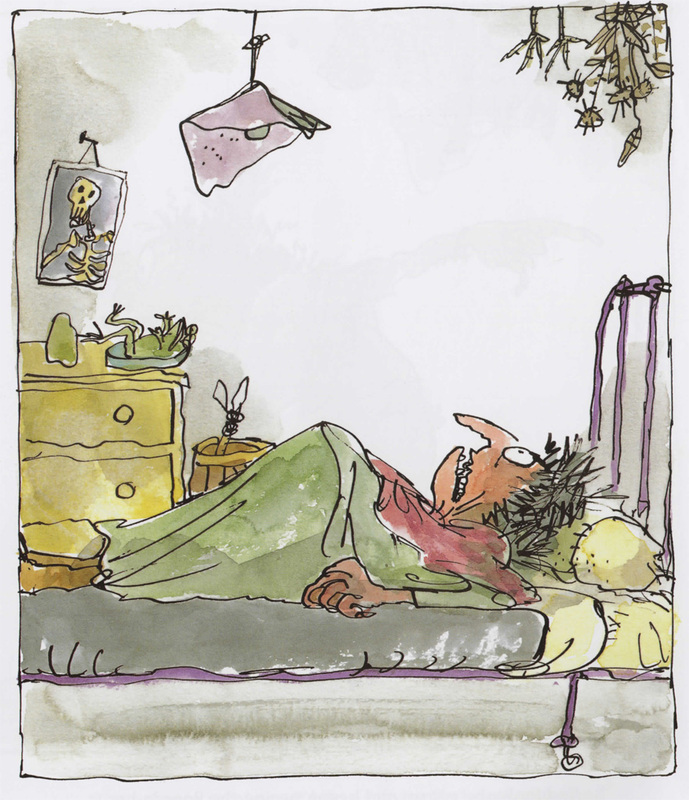 William Steig (1907-2003) was a cartoonist, illustrator and author of award-winning books for children, including Shrek!, on which the DreamWorks movies are based; the Caldecott Medal-winner Sylvester and the Magic Pebble; The Caldecott Honor book The Amazing Bone; and the Newbury Honor Books Abel's Island and Doctor De Soto. 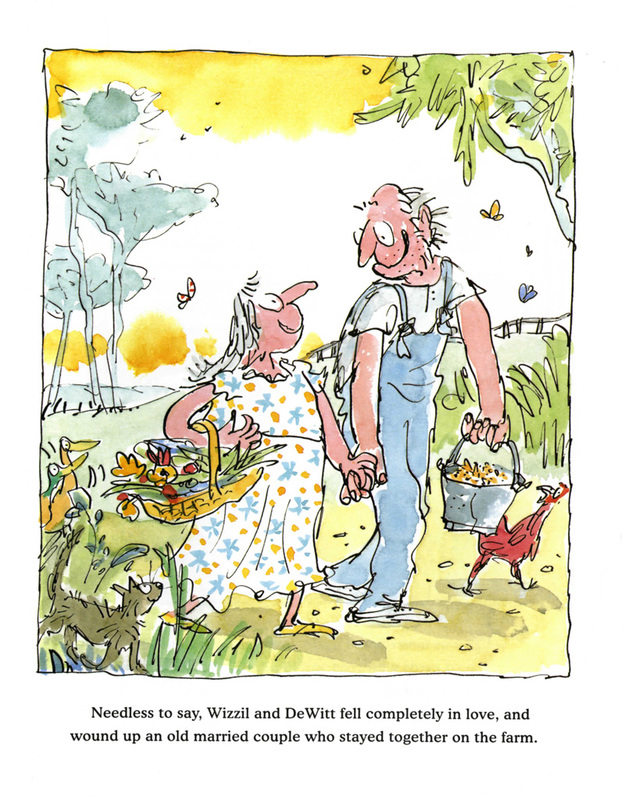 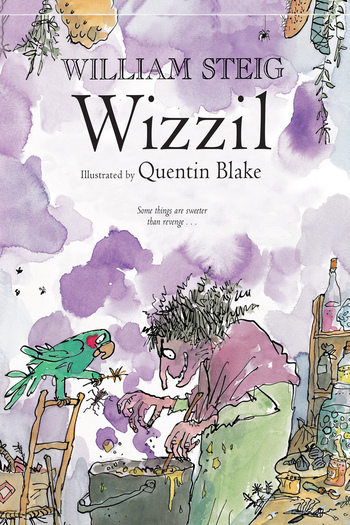 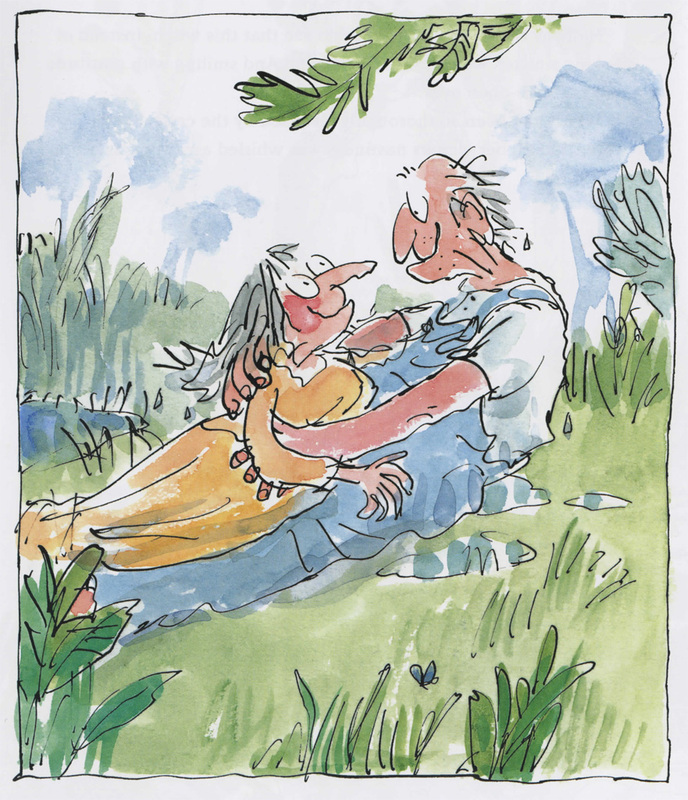 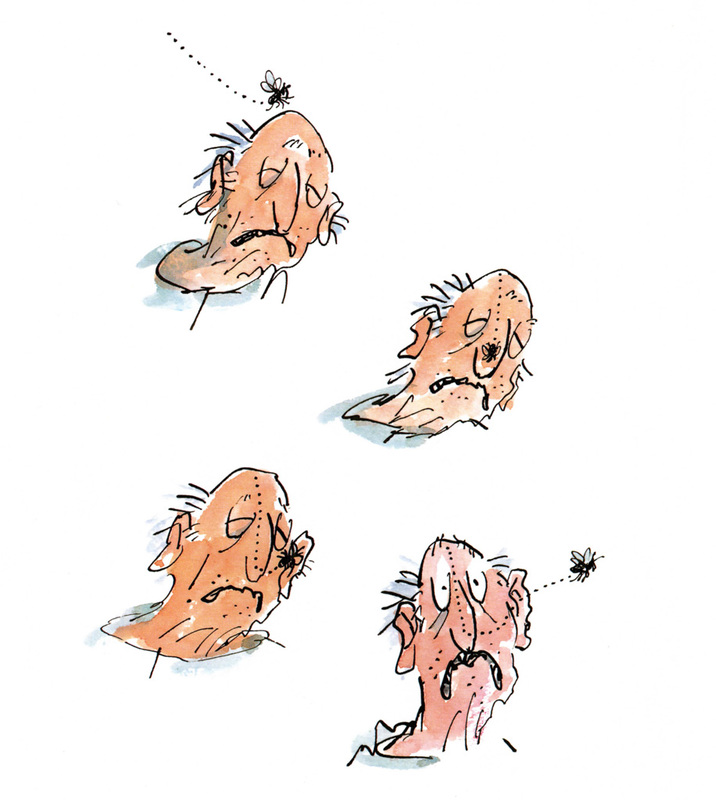 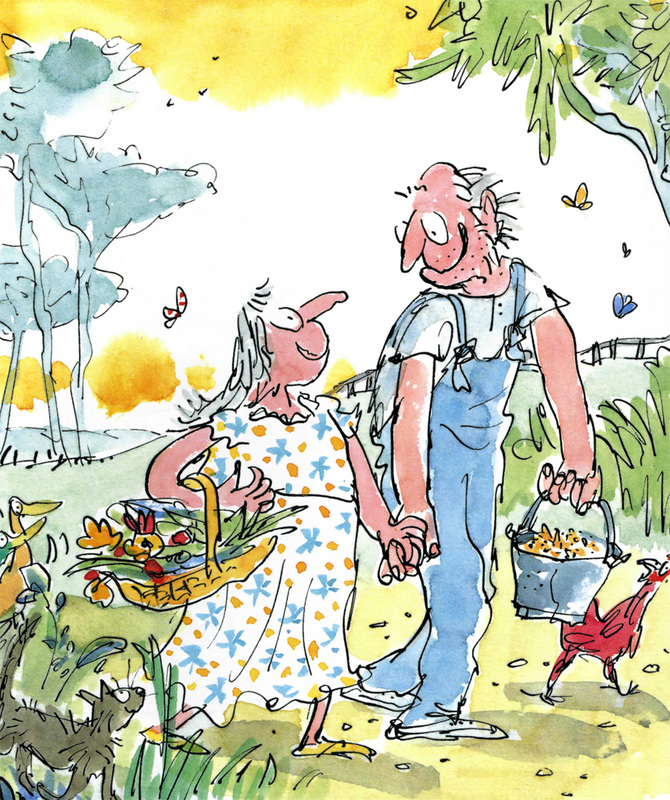 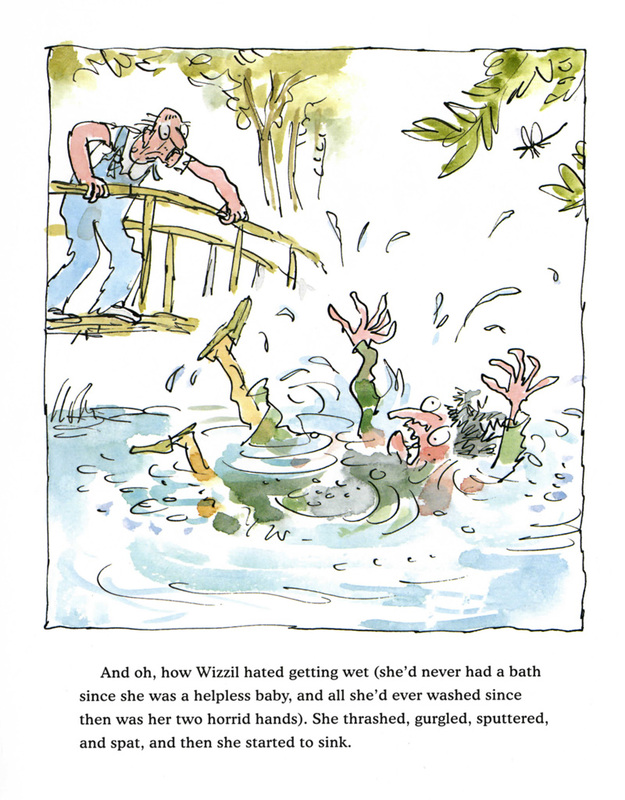 Quentin Blake is Children’s Laureate of Great Britain, has won the Kate Greenaway Medal, and is the author and/or illustrator of many books, though he is best known for illustrating the works of Roald Dahl. He lives in London, England.